Ariana Grande-Butera is an American singer, songwriter and actress. Born in Florida to a family of New York-Italian origin, she began her career in 2008 in the Broadway musical 13, before playing the role of Cat Valentine in the Nickelodeon television series Victorious (2010–13) and in the spinoff Sam & Cat (2013-14). Grande made her first musical appearance on the soundtrack for Victorious and was signed to Republic Records in 2011 after music executive Monte Lipman came across one of her YouTube videos covering songs. Malcolm James McCormick, known professionally as Mac Miller, was an American rapper, songwriter, and record producer. Born in Pittsburgh, Pennsylvania, Miller began his career in the city's hip hop scene in 2007, at the age of fifteen. In 2010, he signed a record deal with Pittsburgh-based independent label Rostrum Records, with whom he had his breakthrough with the mixtapes K.I.D.S. (2010) and Best Day Ever (2011). Rapper Mac Miller was featured on "The Way". Sam & Cat is an American teen sitcom that originally aired from June 8, 2013, to July 17, 2014, on Nickelodeon. It is a crossover spin-off/sequel of both iCarly and Victorious. It stars Jennette McCurdy as Sam Puckett from iCarly, and Ariana Grande as Cat Valentine from Victorious. The girls meet by chance during a bizarre adventure and become roommates, then start a babysitting business to earn extra money. The series was picked up for 20 episodes on November 29, 2012. It began filming in January 2013 and premiered on June 8, 2013. The first season was doubled to 40 episodes on July 11, 2013. Jordin Brianna Sparks is an American singer-songwriter and actress. She rose to fame in 2007 after winning the sixth season of American Idol at age 17, becoming the youngest winner in the series' history. Her self-titled debut studio album, released later that year, was certified platinum by the Recording Industry Association of America (RIAA) and has sold over two million copies worldwide. The album spawned the Billboard Hot 100 top-ten singles "Tattoo" and "No Air"; the latter, a collaboration with Chris Brown, is currently the third highest-selling single by any American Idol contestant, selling over three million digital copies in the United States. The song earned Sparks her first Grammy Award nomination for Best Pop Collaboration with Vocals. Brenda Russell is an American singer-songwriter and keyboardist. Russell has a diverse musical style which encompasses pop, soul, dance, and jazz. As well she's received a sum of five Grammy nominations altogether. Twitter is an American online news and social networking service on which users post and interact with messages known as "tweets". Tweets were originally restricted to 140 characters, but on November 7, 2017, this limit was doubled for all languages except Chinese, Japanese, and Korean. Registered users can post, like, and retweet tweets, but unregistered users can only read them. Users access Twitter through its website interface, through Short Message Service (SMS) or its mobile-device application software ("app"). Twitter, Inc. is based in San Francisco, California, and has more than 25 offices around the world. Critics have compared Grande's vocals to those of Mariah Carey (pictured). The music video for "The Way" was filmed on February 10 and 11, 2013. On March 16, 2013, the first teaser for the song was released on to her YouTube page. The second teaser was released on Ryan Seacrest's website two days later, and later on Grande's page. The full video was released on March 28, 2013 at 12/3 am PST/EST. Directed by Jones Crow, the video consists of Grande, Miller, and a group of dancers. Grande poses for pictures taken by Miller on various cameras, while dancing around a room filled with balloons and their images are projected on the wall. At the end of the video Miller and Grande kiss, and Grande described it as "quite a statement" of growing up. The video was Vevo-certified on October 2, 2013, having reached 100 million views. As of February 2019, the music video has over 360 million views on Vevo. Along with her second single, "Baby I", Grande performed "The Way" at the 2013 MTV Video Music Awards Pre-show at the Barclays Center in Brooklyn, New York City on August 25, 2013. She later performed "The Way" with Mac Miller on the Today Show on September 3, 2013 to celebrate the release of her album, Yours Truly, and to promote it. She also performed the song at Worldwide Day of Play 2013, at Jimmy Kimmel Live! on October 15. Grande played the song at every concert from her The Listening Sessions and Jingle Bell Ball 2013. The song was performed for the last time in 2013 at New Years Rockin' Eve, where Mac Miller joined Grande on stage. In 2014, Grande performed the song in a medley with "Problem" at the 2014 iHeartRadio Music Awards. She performed the song on May 5 at the 2014 Wango Tango. Grande also performed "The Way" along with some songs at the 2014 Easter Egg Roll at the White House. She also performed the track in a few showcases in Tokyo, Japan, to promote the release of "Yours Truly" in the country. The song was performed in June at the 2014 iHeartRadio Ultimate Pool Party and again in July at the Macy's 4 July Fireworks Spectacular. On September 19, 2014, she performed "The Way" along with other songs at the 2014 iHeartRadio Music Festival. It was also added to the setlist for her 2015 world tour, The Honeymoon Tour. "Into You" is a song by American singer Ariana Grande from her third studio album Dangerous Woman (2016). Grande co-wrote the song with Savan Kotecha, Alexander Kronlund, and its producers Max Martin and Ilya Salmanzadeh. The song was made available by digital download on May 6, 2016 via pre-order of the album and was later serviced to contemporary hit and rhythmic radio on June 28, 2016 as the album's second single. "Into You" is a dance-pop song and features "a thudding disco beat, lurking synths and sharp clicks" in its instrumentation. "My Favorite Part" is a song by American rapper Mac Miller, featuring singer Ariana Grande, from Miller's fourth studio album The Divine Feminine (2016). The song was written by Miller, Grande, and its producer, MusicManTy. It was released by Warner Bros. Records as the third single from The Divine Feminine on September 9, 2016. A music video was released on December 12, 2016. "Dance to This" is a song by Australian singer Troye Sivan, featuring guest vocals by American singer Ariana Grande. Written by Sivan, Leland, Noonie Bao and its producer Oscar Holter, the song was released by EMI Music Australia on 13 June 2018, as the fourth single from Sivan's second studio album, Bloom (2018). ↑ Lipshutz, Jason (August 16, 2013). "Ariana Grande's Grand Entrance: Inside The Nick Jr. Star's Debut Album". Billboard . Retrieved November 3, 2016. ↑ Weiner, Natalie (October 8, 2013). "Ariana Grande's 9 Best Deep Cuts: Critic's Pick". Billboard . Retrieved November 3, 2016. 1 2 3 Trust, Gary (April 22, 2018). "Ask Billboard: Ariana Grande's Career Album & Song Sales". Billboard . (Prometheus Global Media). Retrieved April 22, 2018. ↑ Grande, Ariana (December 12, 2011). "Ariana Grande Debuts New Single, 'Put Your Hearts Up'". The Huffington Post . ↑ Grande, Ariana. "Ariana Grande on KIIS-FM". Youtube. ↑ Grande, Ariana. "Ariana Grande talks The Way". Billboard. ↑ "Ariana Grande radio interview 3/25/13". Youtube. ↑ Lipshutz, Jason. "Ariana Grande Talks Breakout Hit 'The Way'". Billboard. Retrieved March 28, 2013. ↑ Lipshutz, Jason. "Happening Now: Big Things Ahead for Nickelodeon Star Ariana Grande". Billboard. Retrieved April 3, 2013. ↑ Ariana Grande [@ArianaGrande] (5 March 2013). "My new single #TheWay comes out this month. The 1st 300 people to guess the date get signed copies. Winners/date announced Fri. Use #TheWay" (Tweet) – via Twitter. ↑ Ariana Grande [@ArianaGrande] (13 March 2013). "My new single "The Way" feat. @MacMiller will be available March 26th #TheWayMarch26th" (Tweet) – via Twitter. ↑ "First teaser for The Way". Youtube. ↑ "Second teaser for The Way". Youtube. ↑ "Ariana Grande interview at Y100". Y100.com. ↑ "Ariana Grande interview at 93.3 FLZ". 933flz.com. ↑ Elvis Duran [@elvisduran] (19 March 2013). "Just met @ArianaGrande. Wait until you hear her album next Tuesday. Unbelievably talented" (Tweet) – via Twitter. ↑ "Ariana Grande, Elvis Duran appearance". ElvisDuran.com. ↑ "Ariana Grande visits KIIS-FM". ↑ "Grande visits 99.7 Now". ↑ "On Air With Ryan Seacrest song debut". ↑ "Ariana Grande ft. Mac Miller: 'The Way' – Single review – Music Singles Review". Digital Spy. March 18, 2013. Retrieved March 29, 2013. ↑ Sam Lansky (March 27, 2013). "Ariana Grande Releases Very Good Single "The Way," Goes To #1 On iTunes". Idolator. Retrieved May 13, 2013. ↑ Rubenstein, Jenna Hally (March 27, 2013). "New Song: Ariana Grande Featuring Mac Miller, 'The Way'". MTV Buzzworthy. Viacom International, Inc. Retrieved April 7, 2013. ↑ Nick Catucci (April 15, 2013). "The Way – Song Review". Rolling Stones. Retrieved May 3, 2013. ↑ "Teen Choice Awards 2013" . Retrieved December 7, 2018. ↑ Grande, Ariana. "Ariana tweets about The Way". ↑ Lipshutz, Jason. "Breakout Hit "The Way"". Billboard. ↑ "Macklemore & Ryan Lewis Top Hot 100; Imagine Dragons, Ariana Grande Hit Top 10". Billboard. February 16, 2008. Retrieved May 5, 2013. ↑ "The song, featuring T.I. and Pharrell, zips 6-1 to become Thicke's first Hot 100 No 1. Plus, Ariana Grande returns to the top 10 at a new peak and Miley Cyrus debuts at No. 11". Billboard. Retrieved June 12, 2013. ↑ Ariana Grande [@ArianaGrande] (1 May 2013). "'The Way' went gold today! I'm so grateful and thankful and happy. Thank YOU guys so much. :D This is so exciting" (Tweet) – via Twitter. ↑ "The Way Certifications". RIAA. ↑ Grein, Paul (September 11, 2013). "Week Ending Sept. 8, 2013. Albums: The Braxton Sisters". Yahoo! Music . Yahoo!. Retrieved October 11, 2013. ↑ Lipshutz, Jason. "Ariana Grande's Grand Entrance: Inside The Nickelodeon Star's Debut Album". Billboard. Retrieved August 16, 2013. ↑ "The Way – Ariana Grande feat. Mac Miller (First Teaser)". YouTube. Retrieved March 29, 2013. ↑ "Ariana Grande Teases 'The Way' Video With Mac Miller". Popcrush.com. March 21, 2013. Retrieved March 29, 2013. ↑ Fanpop, Inc. "The Way – Ariana Grande feat. Mac Miller (First Teaser) MARCH 26th – Ariana Grande video". Fanpop. Retrieved March 29, 2013. ↑ "The Way – Ariana Grande feat. Mac Miller 20 second teaser". YouTube. Retrieved March 29, 2013. ↑ "Ariana Grande Talks Breakout Hit 'The Way': Watch New Music Video". Billboard. Retrieved March 29, 2013. ↑ "Ariana Grande's "The Way" Music Video Is VEVO Certified". Disney Dreaming. October 2, 2013. ↑ "Ariana Grande Wango Tango Performance". ↑ "Ariana Grande Star Party performance". ↑ "Ariana at Kiss Concert 2013". ↑ "Birthday Bash Artist Profile: Ariana Grande". ↑ "Carly Rae Jepsen headlines Red, White and Boom July 5". ↑ Ariana Grande [@ArianaGrande] (5 July 2013). "On my way to Kansas City to perform for @Mix933 tonight!! Can't wait to see you there. Who's coming? Xo" (Tweet) – via Twitter. ↑ Ariana Grande [@ArianaGrande] (15 June 2013). "So sad I won't be able to make it to sing at the @b96radio Summer Bash today in Chicago. I hope everybody has a BLAST. @ebunc1 u r the best!" (Tweet) – via Twitter. ↑ "B96 on Ariana Grande's cancelled performance". ↑ Grande, Ariana. "Ariana Grande Performs "The Way"". YouTube. Retrieved May 29, 2013. ↑ Grande, Ariana. "Ariana Grande Performs 'The Way' on Late Night With Jimmy Fallon". Late Night With Jimmy Fallon. Retrieved June 15, 2013. ↑ "Justin Bieber's 'Believe' Tour Coming Back to the U.S. With Ariana Grande and More as Opening Acts!". 1 2 3 Gardner, Eriq (December 11, 2013). "Ariana Grande Sued Over Mega-Hit Song 'The Way'". The Hollywood Reporter. Retrieved December 12, 2013. ↑ Saad, Megan (December 12, 2013). "Hit Single 'The Way' Lands Ariana Grande in a Copyright Infringement Lawsuit". Vibe. Retrieved December 12, 2013. ↑ "iTunes – Music – The Way (feat. Mac Miller) – Single by Ariana Grande". iTunes Store (US). Apple Inc . Retrieved October 8, 2013. ↑ "iTunes – Music – The Way (Spanglish Version) [feat. J Balvin] – Single by Ariana Grande". iTunes Store (US). Apple Inc. Retrieved October 8, 2013. ↑ "Australian-charts.com – Ariana Grande feat. Mac Miller – The Way". ARIA Top 50 Singles. Retrieved April 16, 2013. ↑ "Ultratop.be – Ariana Grande feat. Mac Miller – The Way" (in Dutch). Ultratip. ↑ "Ultratop.be – Ariana Grande feat. Mac Miller – The Way" (in Dutch). Ultratop Urban. ↑ "Ariana Grande Chart History (Canadian Hot 100)". Billboard. Retrieved April 16, 2013. ↑ "Chart Track: Week 14, 2013". Irish Singles Chart. ↑ "Chart Search". Billboard Japan Hot 100 for Ariana Grande. Retrieved January 9, 2016. ↑ "Nederlandse Top 40 – Ariana Grande feat Mac Miller" (in Dutch). Dutch Top 40. Retrieved April 16, 2013. ↑ "Dutchcharts.nl – Ariana Grande feat. Mac Miller – The Way" (in Dutch). Single Top 100. Retrieved April 16, 2013. ↑ "Charts.nz – Ariana Grande feat. Mac Miller – The Way". Top 40 Singles. Retrieved April 16, 2013. ↑ "2013년 15주차 Digital Chart" (in Korean). GAON . Retrieved August 16, 2014. 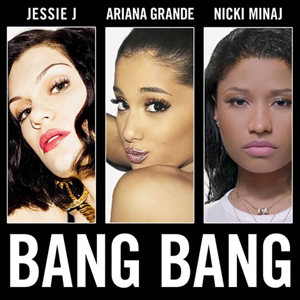 ↑ "JESSIE J FEATURING ARIANA GRANDE & NICKI MINAJ – Artist – Official Charts". The Official Charts Company. April 6, 2013. Retrieved May 7, 2013. ↑ "Official R&B Singles Chart Top 40". Official Charts Company. ↑ "Ariana Grande Chart History (Hot 100)". Billboard. Retrieved April 16, 2013. ↑ "Ariana Grande Chart History (Adult Pop Songs)". Billboard. Retrieved May 23, 2013. ↑ "Ariana Grande Chart History (Pop Songs)". Billboard. Retrieved May 23, 2013. ↑ "Ariana Grande Chart History (Rhythmic)". Billboard. Retrieved May 23, 2013. ↑ "Ariana Grande Chart History (Latin Pop Songs)". Billboard. Retrieved August 24, 2013. ↑ "2013 Year End Charts – Digital Songs". Billboard . Retrieved December 12, 2017. ↑ "2013 Year End Charts – Hot 100 Songs". Billboard . Retrieved December 12, 2017. ↑ "2013 Year End Charts – On-Demand Songs". Billboard . Retrieved December 12, 2017. ↑ "2013 Year End Charts – Radio Songs". Billboard . Retrieved December 12, 2017. ↑ "2013 Year End Charts – Streaming Songs". Billboard . Retrieved December 12, 2017. ↑ "ARIA Charts – Accreditations – 2013 Singles". Australian Recording Industry Association. ↑ "Brazilian single certifications – Ariana Grande – The Way" (in Portuguese). Associação Brasileira dos Produtores de Discos. ↑ "Canadian single certifications – Ariana Grande – The Way". Music Canada . Retrieved November 16, 2018. ↑ "British single certifications – Ariana Grande – The Way". British Phonographic Industry . Retrieved April 5, 2018. Select singles in the Format field. Select Silver in the Certification field. Type The Way in the "Search BPI Awards" field and then press Enter. ↑ "American single certifications – Ariana Grande – The Way". Recording Industry Association of America. If necessary, click Advanced, then click Format, then select Single, then click SEARCH. ↑ APFV (November 30, 2013). "Certificaciones De Venezuela Del 2013" (PDF) (in Spanish). APFV. Retrieved August 18, 2014. ↑ "RIAA Adds Digital Streams To Historic Gold & Platinum Awards". Recording Industry Association of America. May 9, 2013. Archived from the original on May 26, 2013. Retrieved May 9, 2013. ↑ "The Way (2013) | Ariana Grande / Mac Miller | MP3 Downloads 7digital Canada". Archived from the original on July 9, 2013. Retrieved July 22, 2013. 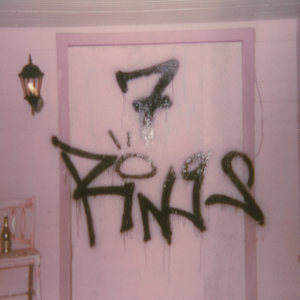 ↑ "Amazon.com: The Way: Ariana Grande: MP3 Downloads". Archived from the original on August 6, 2013. Retrieved August 30, 2013. 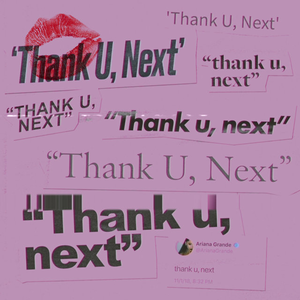 ↑ "Amazon.com: The Way (Spanglish Version): Ariana Grande: MP3 Downloads". Archived from the original on June 9, 2013. Retrieved July 22, 2013.